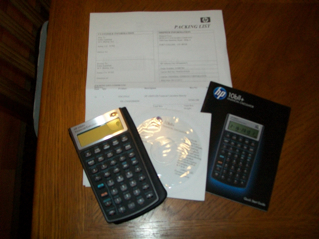 I am going to present a first look at the new Hewlett Packard HP 10bii+ financial calculator. This is a continuation of HP&apos;s 10b&apos;s series. Hewlett Packard first introduced us to the HP 10b series with the classic HP 10b in 1988. The original featured time value of money calculations, interest conversions, 14 cash flows, with each flow allowed to be repeated up to 99 times, linear regression, percent change, and profit solvers (cost-sell-margin-markup). The original HP 10b had 15 storage registers, however 6 of them were for statistics. 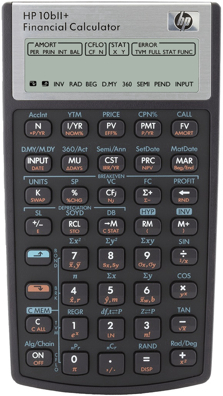 In 2001, Hewlett Packard updated the HP 10b with the HP 10bii. The function set remained pretty much the same, except there were only 10 memory registers. The trade off was that all the statistics measurements had dedicated registers. * Proper Algebraic Mode. Calculator can be made to follow the proper order of operations. No RPN (Reverse Polish Notation), bummer, but not a deal breaker. 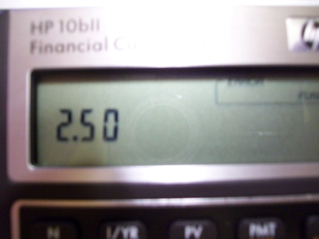 I get 2.5! 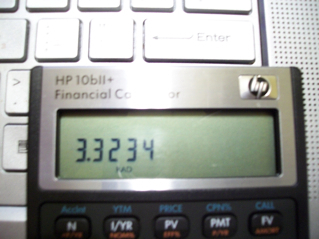 = 3.3234 (to four decimal places). This is already seems like this a serious upgrade to the HP 10bii+. In my next post I will review the many new features of the HP 10bii+. At first glance the 10bii+ looks impressive. I wish that the case that comes with it was not so snug. * CD containing the full manual in many languages, and I mean many languages: English, Spanish, French, Arabian, Japanese, Portuguese, and Italian just to new a few. Hi everyone! This is my very first blog. 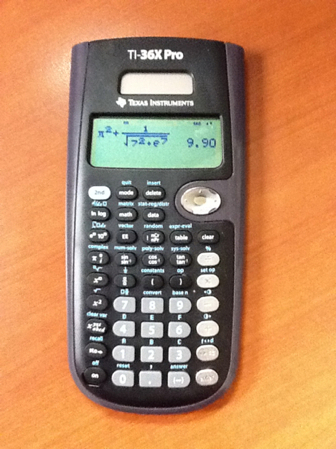 My aim is to have a blog of math and calculators. I will add blogs whenever I get a chance.